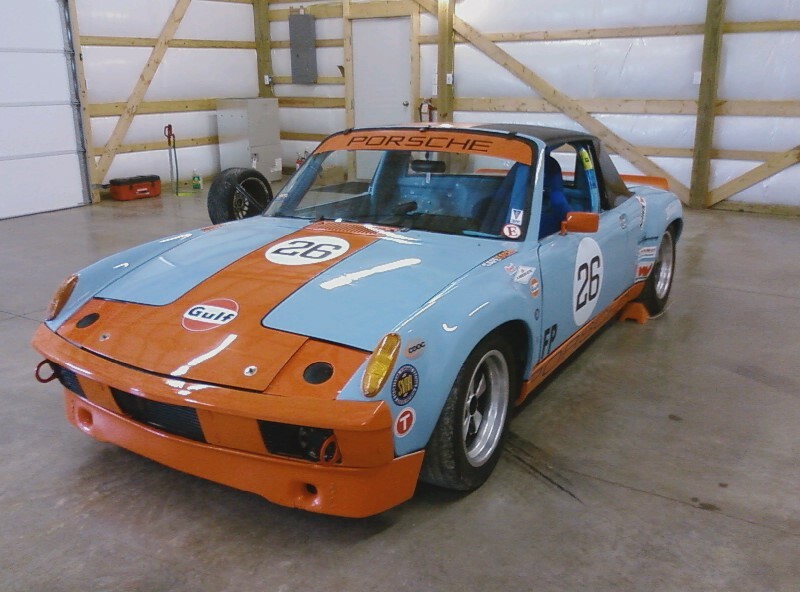 I'm in need of a way to mount head lights on my 914GT race car. The original light assemblies were removed long ago. There is only a piece of sheet metal with a brake vent there now(will not need the brake venting as I have duct from the air dam). I would like to be able to mount these only when needed (night race at Sebring). I was thinking of buying the part that pops up and trying to make mounting hardware. Any ideas would be appreciated. GT headlight manual cable activation is available on 914World.com. Somebody was making a kit. 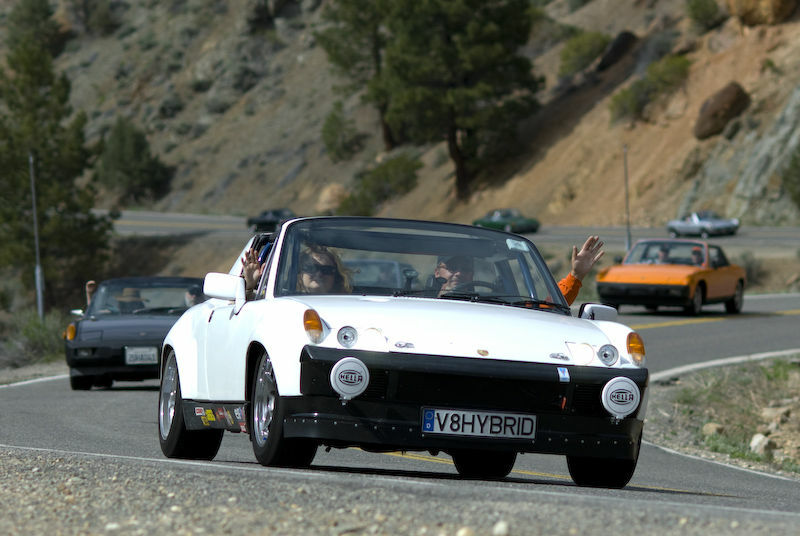 Not a 914, but what about something like this. These are repro ciebies, but they look nice. I've seen these where they mount a plate to the hood and you can mount up to 4 of these on the plate. They attach via some kind of quick release on the underside so that you can add or remove as needed. 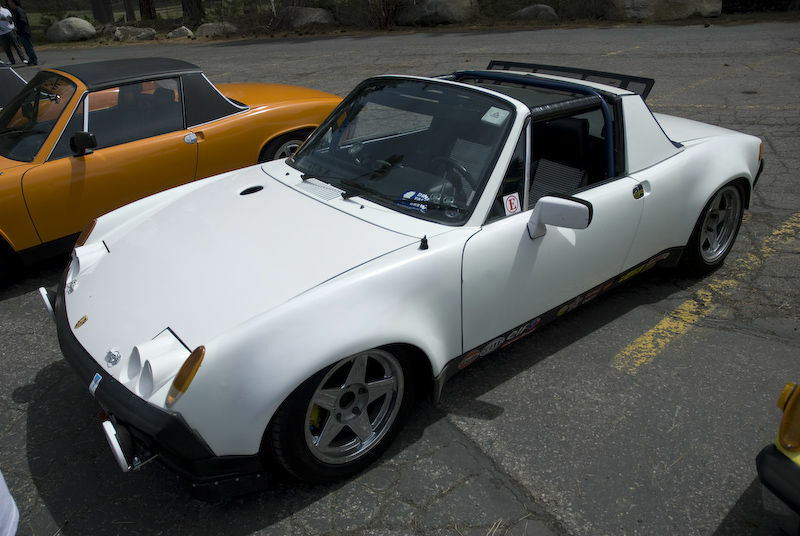 I've seen some examples of "light bars"...don't have any pictures...check out most of the 914 forums for them..
the "light bars" were removable so you could race in daylight with out it (no extra weight or drag)and then for night place the light bar on the 914....they were installed along the front bumper and also on the hood...some what like the off roaders use on their Jeeps, etc.